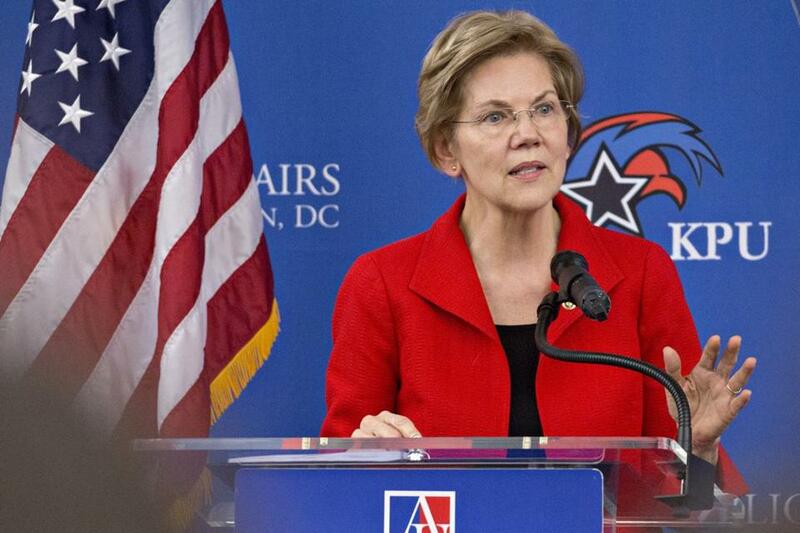 Senator Elizabeth Warren is pushing a novel tax idea as one of the first major proposals of her nascent presidential campaign: A tax on the wealth of the super rich. Her plan would differ from previous left-wing tax proposals in a huge way: It’s a tax on wealth, rather than income. She said her proposal would affect the “tippy-top” of the American economic scale, or those with a net worth of more than $50 million. Specifically, it would impose a 2 percent annual tax on household wealth between $50 million and $1 billion, and an additional 1 percent annual “billionaire surtax” for a net worth above $1 billion. “After making a killing on the economy they’ve rigged, they don’t pay taxes on that accumulated wealth,” Warren said of the super-rich in a video posted to her Twitter account last week. Her proposal has drawn reaction from a number of corners — with some particularly stinging criticism coming from the very people her plan would affect. Here’s a rundown of the critics and fans. Michael Bloomberg: At an event in New Hampshire on Tuesday, Bloomberg, who is considering a run for the Democratic nomination, made comparisons with Venezuela when asked about Warren’s plan. Bloomberg has a net worth of more than $50 billion, according to Forbes. “It’s true that the Warren plan would limit the ability of the already incredibly wealthy to make their fortunes even bigger, and pass them on to their heirs. But slowing or reversing our drift toward a society ruled by oligarchic dynasties is a feature, not a bug,” he wrote. Felicia Wong: Another expert, at the Roosevelt Institute, talked about the effect such a plan would have not just on economic inequality but racial inequality in America. Studies have shown that there is a yawning wealth gap between black and white Americans that is compounded as wealth is passed from one generation to another. A 2017 Spotlight report drew attention to a startling statistic in Boston: African-American households had a median networth of just $8, while for white households, the figure was $247,500. “Wealth, which is passed on through generations, is a kind of crystalized history, and the black-white wealth gap is astounding compared to the black-white income gap, which is closer to a 40 percent differential. The fact that we are talking about taxing wealth will have very significant implications on closing that black wealth gap and that’s a very big deal,” Wong told Vice News.